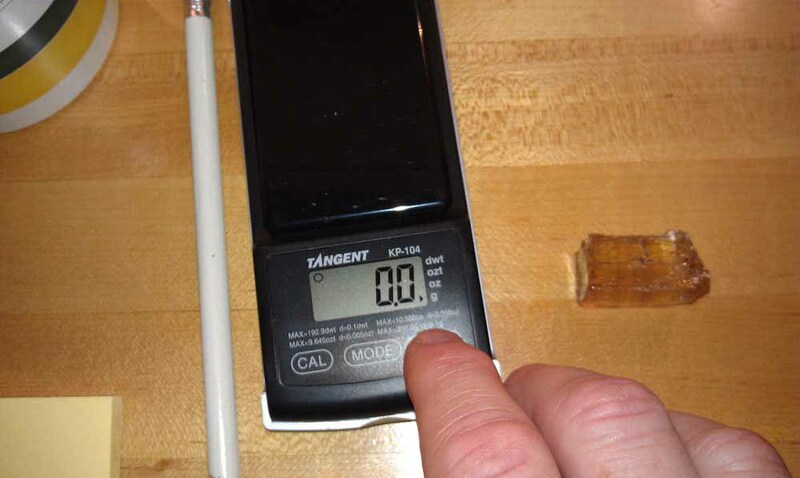 I have developed a quick technique, using a simple digital scale that determines specific gravity in only a few easy steps. 1. Turn on power and the scale should "zero" itself. 2. Weigh the dry mineral specimen and record the weight. 3. 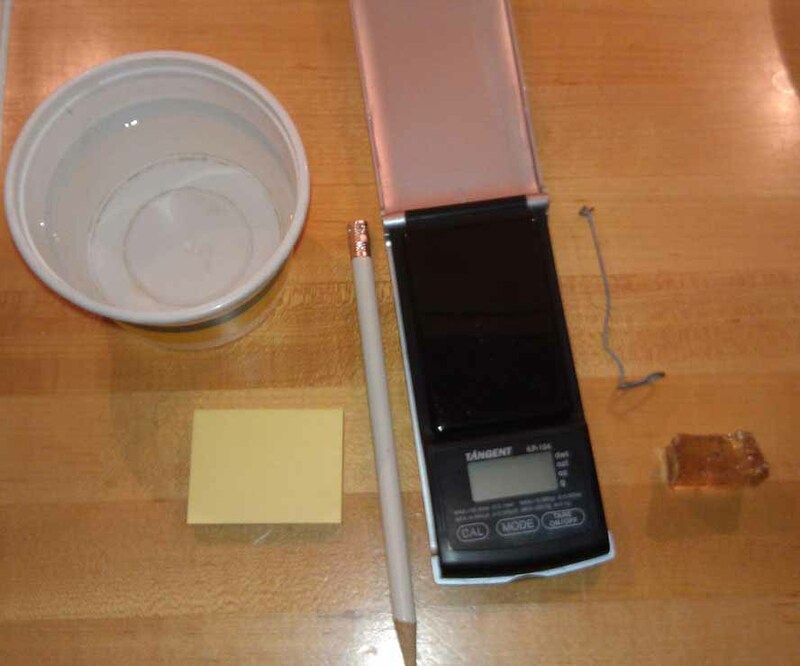 Place the water-filled container (filled with water enough to submerge the specimen) on the scale and "zero" it out. 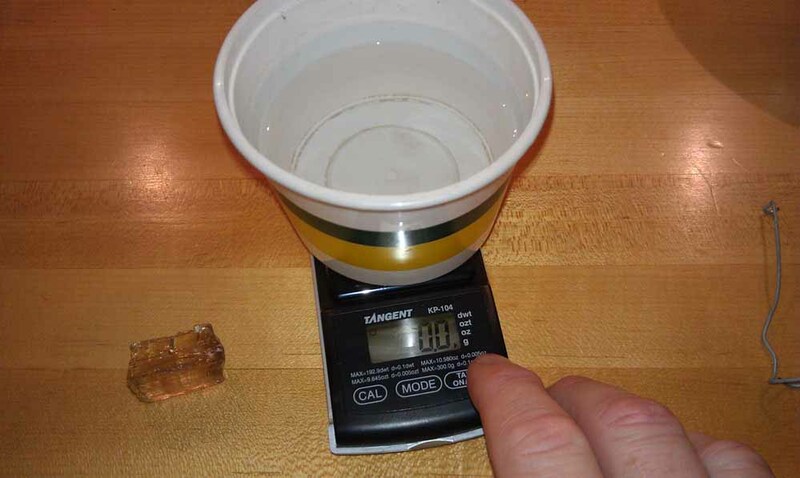 On small cups of water, suspend the paperclip in the water (not touching the sides or bottom) before zeroing the scale. 4. Suspend the specimen from the paperclip in the water, but not touching the bottom or sides and record the weight reading. 5. Divide the first (dry) weight by the second (suspended in water) weight and you get the specific gravity. 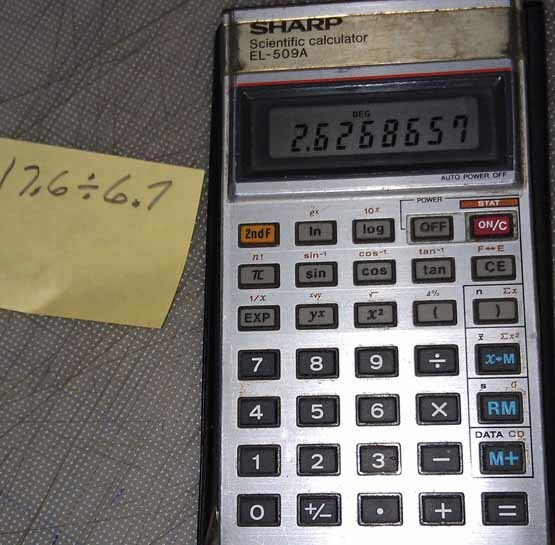 The results for the crystal tested here was 2.627. Done. Finished. Nothing else to do. 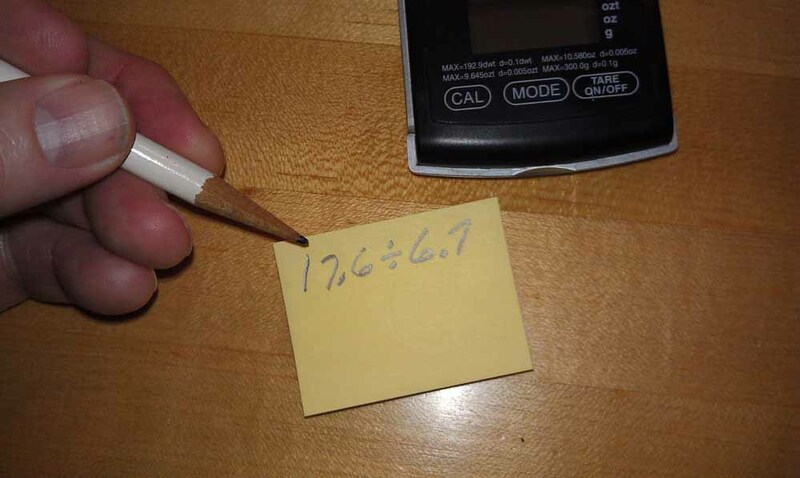 Two measurements and some simple division. Do not ask me how or why it works. The explanation will only confuse you. (SEE THE ADDENDUM AT THE BOTTOM IF YOU SIMPLY MUST KNOW WHY THIS WORKS.) All you need to know is that it works, it is fast, and it is easy and does not require any laboratory equipment. The only limitation is that the specimen must be homogenous - not a mixture of dissimilar minerals. Now, what do you do with the specific gravity now that you know it? How do you find the mineral species that correspond to that number? The easiest reference is the "Search for minerals by their physical properties" page at Mindat.com (http://www.mindat.org/advanced_search.php). Above is a screen shot that shows I entered a range for specific gravity from 2.6 to 2.65 to allow for possible inaccuracies in the results. 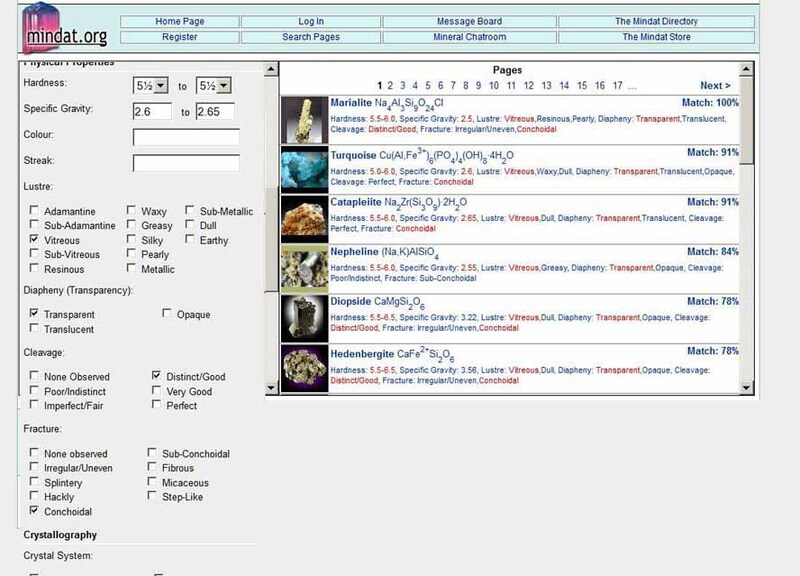 The search page shows on the right column the mineral species that match these characteristics and shows Marialite, a scapolite group mineral, closely corresponds to those attributes. 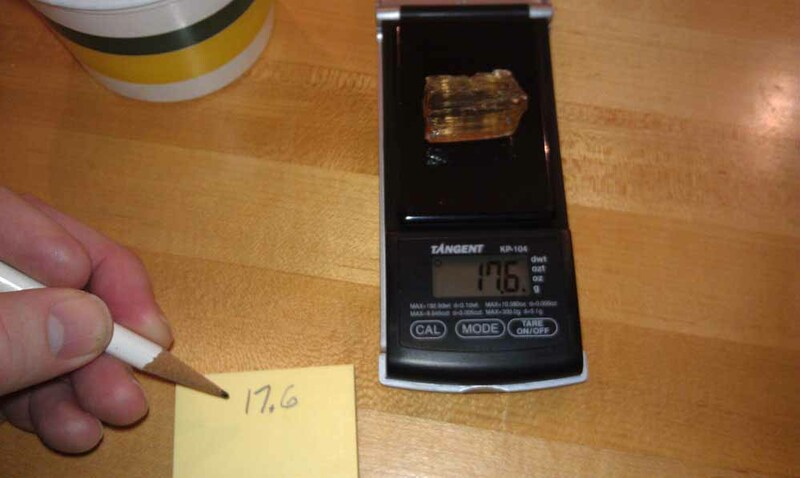 This confirmed the identification that I suspected and eliminated gem albite-orthoclase which was a possible alternate. 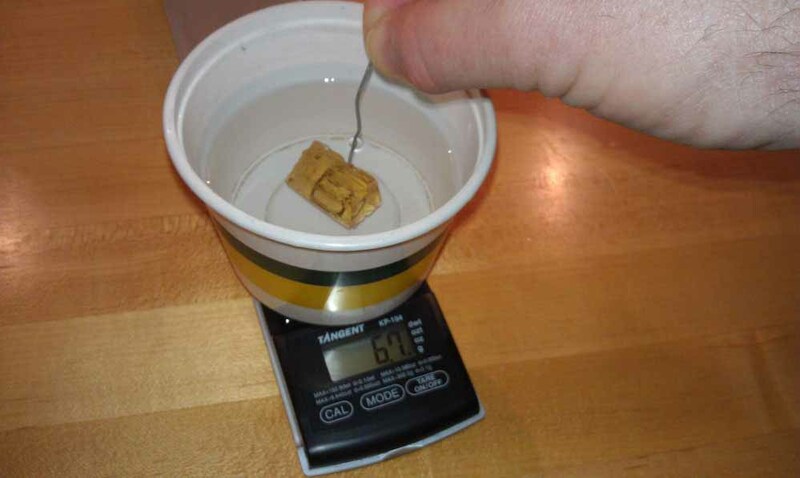 The normal method of determining specific gravity is to weigh the specimen dry (DW), then to suspend the specimen in water on a string, and to measure the weight pulling on the string (WW) (specimen weight suspended in water). Then you subtract WW from DW, and divide the difference into DW.